As the summer months approach, people are sure to have visions of barbecues, pool parties and enjoying the warm sunshine. However, this time of year also stirs up the pesky buzzing and biting of mosquitoes. For most people, the itching and swelling are kept to a minimum, but for others, the bites can be painful and the irritation can last for several days. But fear not; you can protect your skin from these vulture-like insects. • Heat and movement—This could explain why active children seem to be covered in bites. • Bacteria—People have about one trillion microbes on their skin’s surface, essentially creating a mosquito buffet. • Chemical compounds—Mosquitoes enjoy a wide variety of compounds, primarily carbon dioxide. Interesting fact: Male mosquitoes are not interested in your blood but rather the chemical compounds on the surface of your skin. Females, however, thirst for blood to produce eggs. • Apply a repellent spray that contains DEET. • Stay indoors during mosquito high-activity time. • Wear clothing that covers your skin. • Remove or avoid standing water near you. • Protect your home from mosquitoes. • Essentials oil, such as citronella, are an excellent natural remedy, but they usually require frequent repeat applications to remain effective. • While there is not extensive research, some people claim that eating garlic helps ward off mosquitoes. • Burning a candle can be useful since mosquitoes avoid fire and smoke. • Taking a daily dose of vitamin B-1 might alter your skin's scent enough that mosquitoes are not as attracted to you. • Keep the area clean by gently washing with soap and water. • Apply calamine lotion to the bite area. • Put ice or a cool washcloth on the itchy spot. • According to an article on Tiny Mosquito, Vicks VapoRub works wonders for soothing itchy skin. The active ingredients of camphor, eucalyptol and menthol have been used for many years to treat skin issues, including insect bites. Simply apply the cream directly to the infected area with a cotton swab until it is absorbed completely by the skin. It is safe to use as needed. • Everyday Health reminds people that honey is another option. Honey is an antibacterial ingredient that can reduce the chances of infection. • Aloe vera has anti-inflammatory properties that help soothe the itch and reduce swelling. • Basil leaves can be used both as a repellent and natural treatment for itchy bites. • Like the Vicks VapoRub, Listerine also has menthol, which can be used to curb itching. 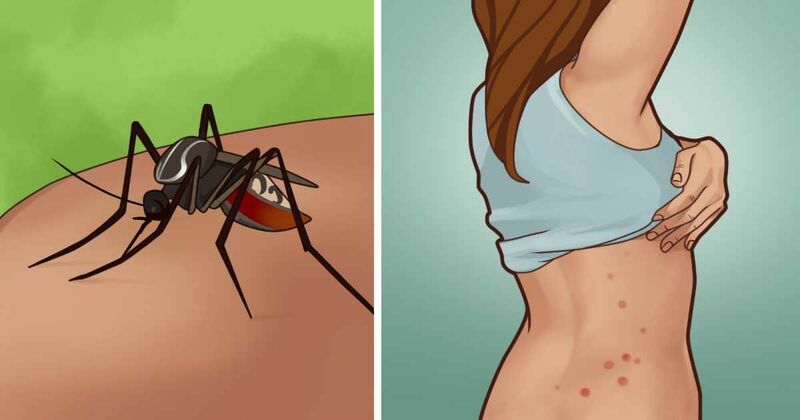 While most mosquito bites serve as a reminder that we should take better precautions, there could be severe side effects. If a mosquito bite leads to vomiting, fever, or shortness of breath, you should seek emergency medical treatment.